In less than a month, we’ll be hosting our customers and partners in Chicago at SOAR 2017. The agenda will be jam-packed with forward-thinking supply chain leaders and inspirational speakers, including customers like Damco, Deringer, and Weston Foods, who will be presenting alongside our own industry experts. Also at the event, we’ll be honoring customer innovation and achievements as part of the inaugural Soaring Performance Awards program (if you haven’t submitted your nomination yet, there’s still time!). We look forward to celebrating the award winners and sharing their stories at SOAR 17, but hate to reserve customer recognition solely for the conference. So, in a series of blogs leading up to the event, we’ll be showcasing customers who are tapping the power of the BluJay Global Trade Network (GTN) to transform supply chain logistics. In this first Spotlight, let’s take a brief ride with Volvo – and learn how the carmaker has gained end-to-end visibility into its logistic operations. We don’t have to tell you that Volvo is one of the most respected car brands in the world. Last year, the company sold more than half a million vehicles in 100 different countries. 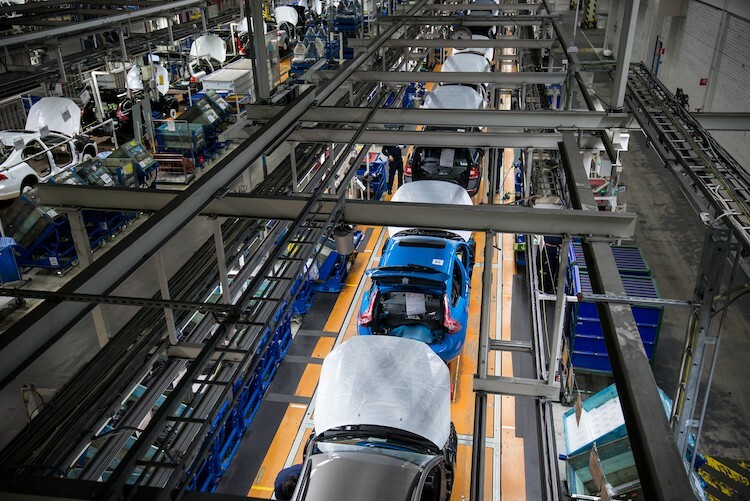 Headquartered in Sweden, Volvo has approximately 29,000 employees worldwide, and operates four main production plants – one in Sweden, one in Belgium, and two in China. Like any global enterprise, Volvo must have visibility across global operations to ensure business is running as efficiently and profitably as possible. With BluJay’s Transportation Management, Volvo is getting that critical birds eye view, and more. Volvo fully deployed the BluJay TMS in 2010. Its cloud-based architecture enabled the company to get up and running in less than five months – without experiencing any disruption to its supply chain. Ever since, Volvo has relied on the sophisticated SaaS solution as the backbone of its global vehicle distribution network for planning, optimizing, and tracking shipments of all finished vehicles from its four global factories to 2,300 dealerships worldwide. BluJay’s Transportation Management is integrated with 26 of Volvo’s IT systems and handles 35,000 routes to market, 120 new EDI messages, and 30 existing carriers. Volvo has achieved complete visibility across its global operations, enabling the company to drive efficiencies, improve agility, and enhance its ability to respond quickly to changing business dynamics. The carmaker is also realizing a significant improvement in performance, with dealerships reporting just a fraction of the issues compared to when Volvo was using an LSP to handle its transportation needs – and, all of this while experiencing a cost savings 5X greater than expected! This is just one great example of a customer that is evolving the supply chain from a cost center to a strategic, competitive asset. Stay tuned for more to come in this series, and at SOAR 2017, about other companies like Volvo, who are tapping the power of BluJay’s technology innovation and Global Trade Network to take their supply chains to new heights. We hope you can join us at SOAR 2017. If you haven’t registered yet there is still time!